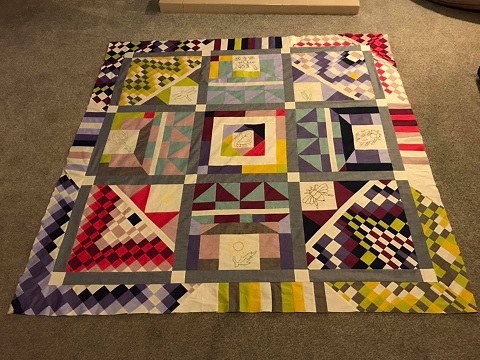 The Mystery Quilt is no longer a Mystery!! !……… and……. breathe!!! 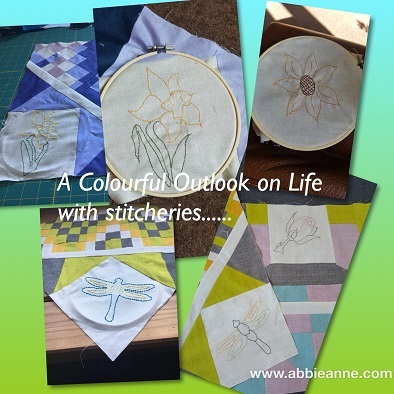 As promised, it has loads of colour & balancing and improving techniques based on an English Country Garden using Makower’s fabric range ‘Linen Texture’. 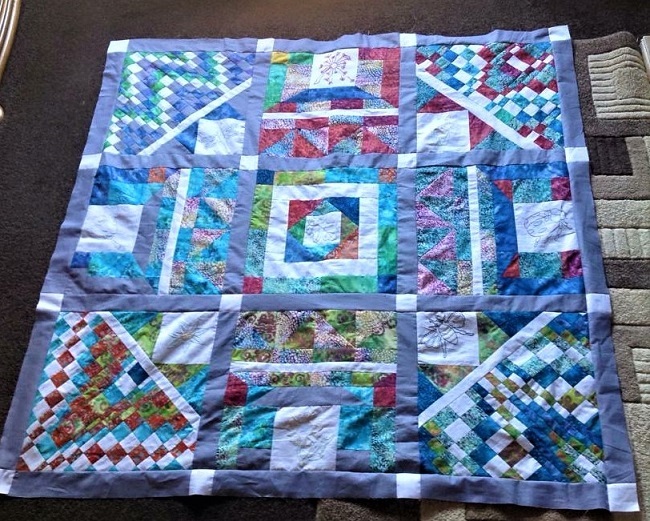 It’s really rather nerve-racking this Mystery Quilt Stuff!! 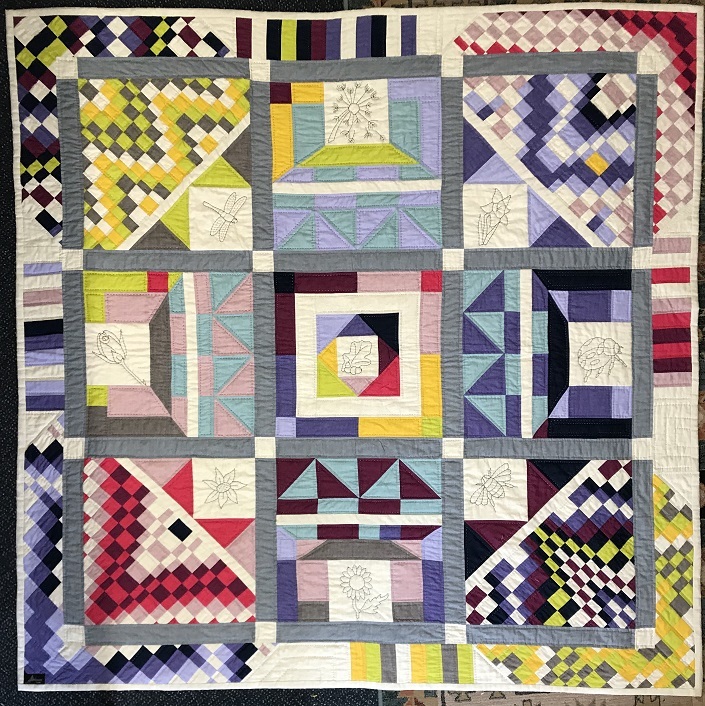 It’s always so much fun watching others take your design and make it for themselves, but to have a substantial size group of people put their faith in you, right past just a pattern, into a complete mystery is amazing!! I’m so lucky, thank you Peoples! We’ve discovered that 2nd class post reaches The Isle of Lewis within 24hrs from Cornwall, amazing, yet it has problems getting to Devon……. 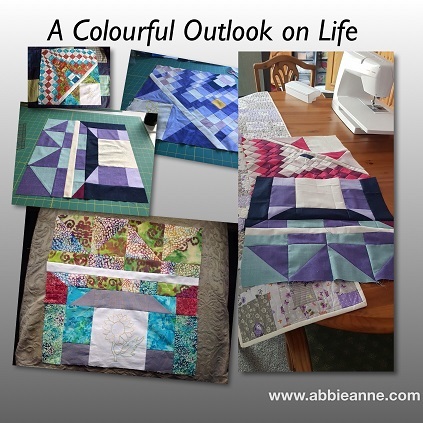 ‘Colourful Outlook on Life’ will be available from the New Year as a BOM if anyone is interested in having a go now the design is out in full view??? 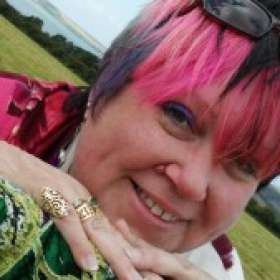 ”Stash n Scrap Again’ I’m aiming at a June/July start……….. If you have any ideas you’d like to see made into a design maybe give me a nudge, you never know what I’m up to next. If you’d like more info on any of the quits please do message me, I’ll replay as soon as I can. 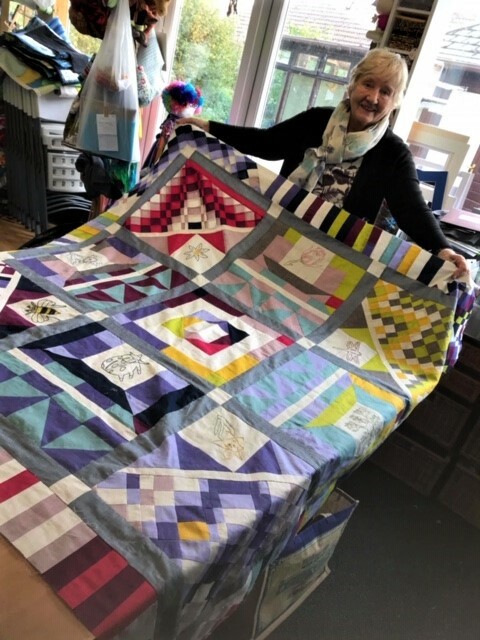 Continuing Mystery’s and their preparation for the quilting Public…. 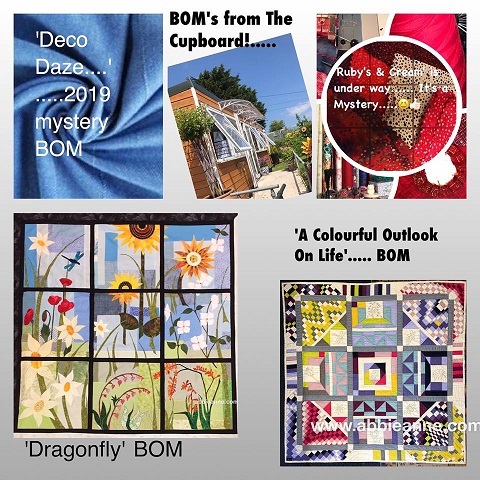 The Mystery Continues…….. My Crazy Quilting Learning Journey Mystery Block 2 & Dragonfly 3 now available……….and STUFF!! !